November is Diabetes Awareness Month and our aim is to educate people on how diabetes affects the eyes and how it is becoming more prevalent in today’s society. Diabetes is defined as hyperglycemia, which means high blood sugar. There are two types of diabetes (type I and type II). Type I is an absolute lack of insulin. This means that the cells in the body are not producing insulin. Type I diabetics require exogenous insulin to survive and it is typically seen in teenagers and young adults. Type II diabetes is classified as insulin resistance by peripheral tissues – essentially there is insulin in the body, but the cells have trouble using the insulin. Type II is becoming more common in today’s society and makes up 85-90% of the diabetic population. 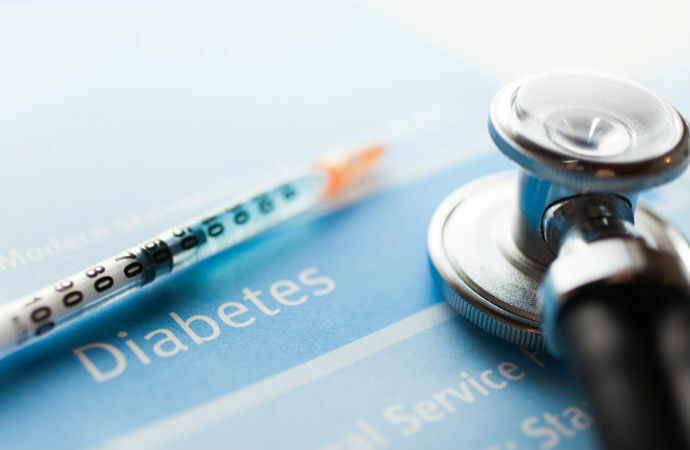 Type II diabetes has the most modifiable factors – these are things that you can change so that you can prevent getting diabetes (if started at a young) or prevent the consequences of diabetes if you have already been diagnosed. Changing your diet. You should eat foods which are high in fiber and low in fat such as spinach or salmon. Does Eating Carrots Improve Your Eyesight? Reducing your total cholesterol. There are two different types of cholesterol: HDL and LDL. HDL is a good type of cholesterol and LDL is not so good for your health. You should keep high HDL and low LDL cholesterol levels. Foods which have this combination are avocados, nuts, and eggs. Exercising for at least 30 minutes a day. Even it if is only 4 to 5 times a week, simple exercises such as walking, swimming, and/or biking can help combat diabetes. Decreasing or quitting smoking. Read more about other effects of cigarette smoking on your vision. Sometimes, these are the first symptoms of diabetes. If you haven’t been diagnosed with diabetes and you find yourself having the above symptoms, it is a good idea to go to your family doctor and get your blood sugar levels tested. The Canadian Diabetes Association has projected that 3.7 million Canadians will have diabetes by the year 2020. Diabetes is the most common cause of legal blindness in working adults. Diabetes affects almost all structures within the eye (these eye structures include: extra ocular eye muscles, cornea, conjunctiva, lens, optic nerve, and retina). As your blood sugar fluctuates, your vision can fluctuate and cause changes in nearsightedness or farsightedness. Diabetic patients often see a change in their prescription more frequently than non-diabetic patients. Diabetic patients also suffer more severely from dry eye, as diabetes affects the nerves that control the lacrimal gland. When the lacrimal gland is affected, it stops producing natural tears, so your eyes will dry out faster. This means that you will have to use artificial tears daily to keep the eyes lubricated and more comfortable. Research has shown that patients with diabetes are at risk of developing/maturing cataracts sooner and are prone to more complications post-cataract surgery. Poorly controlled diabetes can also lead to double vision and muscle palsies as the muscles in the eye have trouble functioning and fusing. Studies have shown that there is also a direct link between diabetes and the risk of developing glaucoma. Most importantly, Optometrists are concerned about diabetic retinopathy. Diabetic Retinopathy is bleeding or leaking of blood vessels in the retina. Most of the time, diabetic retinopathy has no symptoms or warning signs. Sometimes diabetic retinopathy can include swelling under the macula (central part of vision). If very severe, new blood vessels may grow (neovascularization). These new blood vessels will leak blood and there is a risk of a retinal detachment. This type of diabetic retinopathy can lead to irreversible vision loss. Did you know that almost 100% of type I diabetics will have some form of diabetic retinopathy after 15-20 years of being diagnosed with diabetes? Diabetic retinopathy can sometimes be treated with injections through the vitreous or with a laser (a focal laser or panretinal photocoagulation). However, there is no guarantee that eyesight will be restored if the macula is affected. It is essential that diabetic patients are seen annually for a diabetic eye exam (which includes a dilation) or sooner if directed by your Optometrist. Did you know that Alberta Health Care covers eye exams for diabetic patients annually?